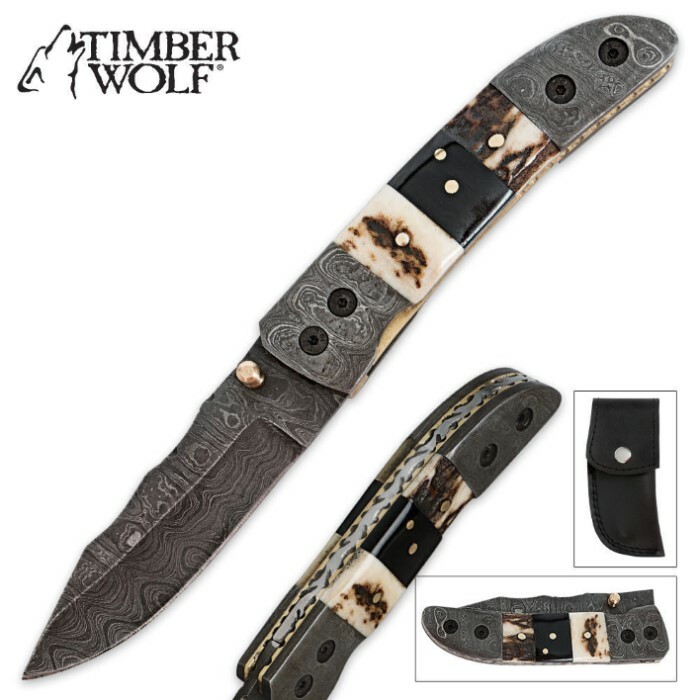 Timber Wolf Damascus & Stag Horn Folding Pocket Knife | BUDK.com - Knives & Swords At The Lowest Prices! 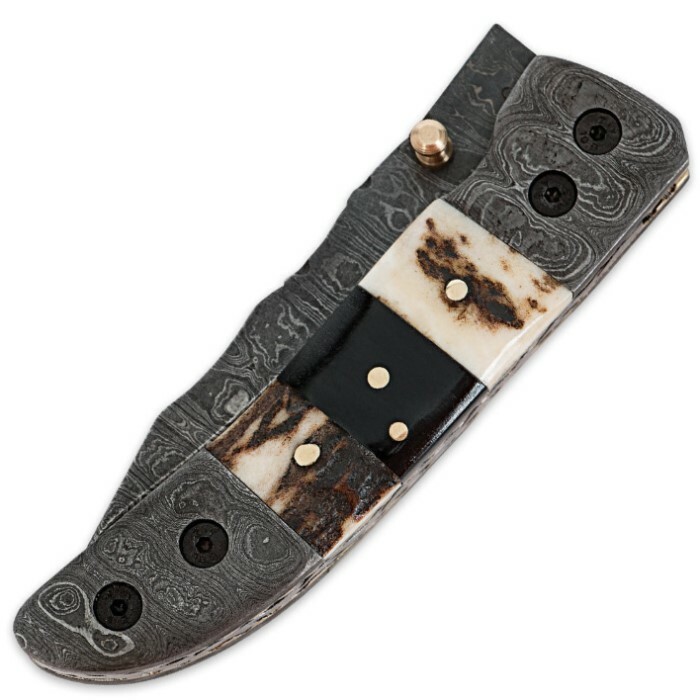 Every good pocket knife collection needs an elegant piece with custom style and attention to detail. Timber Wolf delivers just that with this Damascus steel and stag horn folding pocket knife. 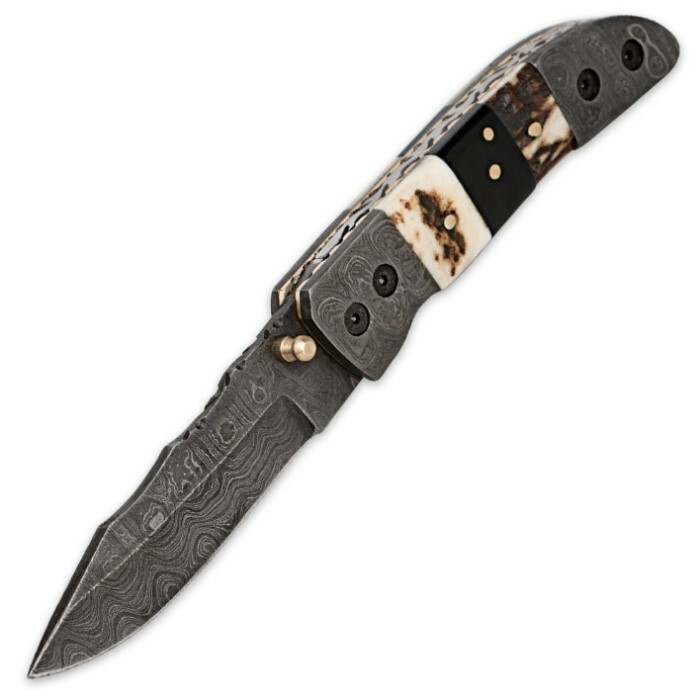 This handsome knife features a 3-1/4" Damascus steel blade with three mini brass studs for opening. The Damascus steel construction continues onto the handle, which also features inlaid stag and brass pins for additional elegance. Solid brass liners and file-worked accents add further detail that gives this pocket knife a custom-commissioned, one-of-a-kind look and feel. A genuine leather sheath is included.